Most Vietnamese meals require having at least one soup bowl on tray. That is why we have many stunning Vietnamese Soup Recipes to satisfy this demand. 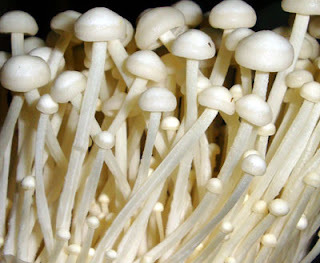 Today, my mom cooks Mushrooms with Grinded Pork and Tomato Soup (Canh Nấm với Thịt Nạc) for my family. The natural sweetness from mushrooms is combined w grinded pork and tomatoes will create a fantastic flavor in your mouth. 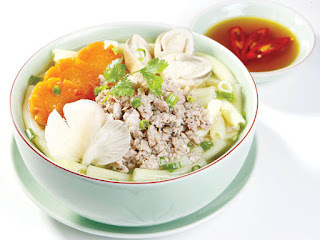 Moreover, summer is coming soon, this soup will really suitable in hot days. So, do you want to discover one of stunning Vietnamese Soup Recipes like this one with me? I bet you will not regret about this decision. In my opinion, eating with boiled rice and braised fish is really tasty. If you have any idea to combine with this soup, share with us. And now, let us together start cooking, ok? Step 1: Clean well mushrooms, cut off the roots, soak into cold water added a little salt in 15 – 20 minutes. Next, clean again in fresh water and wait to dry. Step 2: Clean and slice small spring onion. Clean tomatoes and slice fiber. 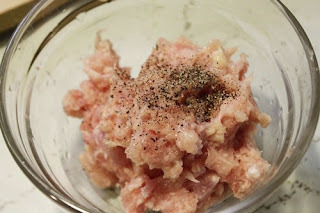 Step 3: Marinate grinded pork with ½ teaspoon salt + a little pepper. Step 4: Heat 2 teaspoons oil, add sliced purple onion and fry until it is fragrant. Next, add more grinded pork and fry quickly in 3 – 5 minutes. 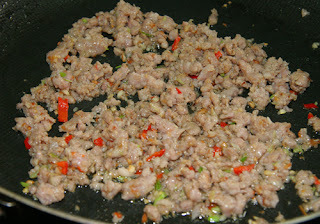 Here is the first step to create one of amazing Vietnamese Soup Recipes. Step 5: Next, add more sliced tomatoes into pot, covered by lid in 3 minutes. Step 7: In the end, add more mushrooms, sliced spring onion and cook more 3 minutes, turn off the heat. Finally, you already finished one of stunning Vietnamese Soup Recipes for yourself and family. Serving with boiled rice and salty dishes is our traditional way. Eating with this soup is hot is better. How do you feel? It is really delicious, right? Hope you will have a good appetite and Good Luck for your Cooking.